The mission of the Lieber Institute for Brain Development and Maltz Research Laboratories is to translate the understanding of basic genetic and molecular mechanisms of schizophrenia and related developmental brain disorders into clinical advances that change the lives of affected individuals. According to the World Health Organization, four of the ten most disabling diseases of world societies are psychiatric. These diseases represent an enormous economic burden but, more importantly, they involve great personal cost for affected individuals and their families. Treatments for mental disorders are inadequate in most cases and prevention is largely nonexistent. New discoveries in developmental neurobiology and genetics put psychiatry on the threshold of a research revolution with important implications for public health. The Lieber Institute for Brain Development (LIBD) was conceived from the realization that a new approach is needed to fully exploit the unprecedented opportunities to accomplish the critical goal of helping affected individuals and their families. The LIBD aims to transform the research landscape in two ways: by providing new tools for scientific discovery and by developing new collaborative approaches to achieve our ambitious mission. Since 1980, Steve and Connie Lieber have been the leading public advocates and philanthropic supporters of mental illness and schizophrenia research in the United States and around the globe. Their investment in this effort comes from personal experience in dealing with a family member with chronic mental illness for decades. They provided the inspirational leadership of NARSAD (now the Brain and Behavior Research Foundation), which established the organization as second only to NIMH in supporting scientific research into the causes, cures and treatments, and prevention of severe mental illness, primarily schizophrenia and depression. Steve Lieber continues to serve as the Brain and Behavioral Research Foundation’s Board Chair. Milton Maltz founded Malrite Communications Group, Inc. in 1956 and served as its Chairman and CEO until the Company was sold in 1998. Under his direction, Malrite became one of the most successful operators of radio and television properties in the country with stations stretching from New York to Los Angeles. 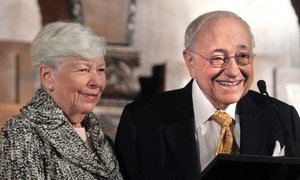 As a member of the broadcast industry’s Hall of Fame, Mr. Maltz created the National Association of Broadcasters’ Task Force for Free TV, served on its Political Action Committee, and was a Director of the Radio Advertising Bureau and Vice-Chairman of the Independent Television Association. 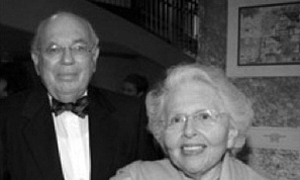 Mr. and Mrs. Maltz also are founders of the Maltz Museum of Jewish Heritage located in Beachwood, Ohio. Tamar Maltz has served on the boards of Montefiore Home for the Aged, and Friends of the Aaron Garber Library. Our state-of-the-art laboratory space is located on the Johns Hopkins Medical Campus. LIBD is the largest non-Johns Hopkins University employer of the East Baltimore inner-city development project.